I didn't know about this KAL until last week and Betty has graciously allowed me to join in the fun. 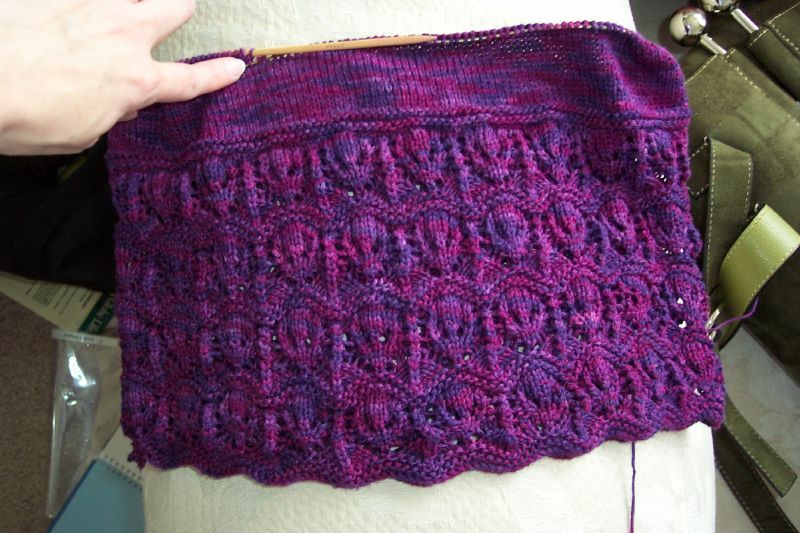 I've been working on my Lotus Blossom for a while now and am about 2 inches into the stockinette part. It's such a lovely pattern and so fun to see how everyone else's is coming along. I can't wait to see all of them finished up. Here's a quick shot of my work in progress. I hope to get it finished up this weekend as I'm pretty sure it will go quite fast. Beautiful work and I love the color. Thanks for sharing your pix. great colour! Is that purlplexed? Your lace is coming out great. I remember seeing yours on flickr right before you joined the KAL. It's so beautiful.